Just over two weeks ago, I published the critique Top Secret: Greenpeace Report Misleading and Incompetent, where I examined the accuracy and usefulness of the “Greenpeace Guide to Greener Electronics,” as well as its accompanying press release spin that bent over backward to attack Apple on its environmental record. •it made a big deal about what companies said or planned, but made little mention of their actual action on environmental issues. •it failed to take into account existing industry and government initiatives, poorly 'reinventing the wheel' of monitoring companies when far more competent and comprehensive efforts are already in place. •it demonstrated that the group entirely fails to understand how metrics matter, preferring instead to repeat companies' own PR rather than critically examine how factors affect consumers or the environment. •it didn't compare companies fairly, with no accounting for the different quality, volume, or mix of products available from each vendor. In general, the report didn't present any useful information for consumers, but rather distilled poorly performed analysis into a ranking that was essentially meaningless. Nokia is better than Lenovo? Will potential ThinkPad buyers improve the environment by buying a cell phone instead? The worst part of the report wasn't even the incompetence of Greenpeace, but rather the gullibility of the media. Nearly without exception, papers and bloggers swallowed the report whole and presented its rankings as useful information on the level of infallible truth. Armed with reports, observations, and insider information provided by readers, I followed up on the Greenpeace report and another, earlier article: SVTC’s “Toxic Trash” Attack on Apple, with More Secrets: The Scandal of Green Computing. As it turned out, not only did groups like the SVTC and Greenpeace attack Apple unfairly just to get airplay, but the same groups were presenting information that contradicted the facts in order to prime the pump for funding. While the SVTC attacked Apple and then reportedly asked Steve Jobs directly for money, Greenpeace made a splash of the Apple name and assigned them a very low ranking in order to blow out a dramatic, but inaccurate, story of how Apple was holding the industry back on environmental issues. That works to present Greenpeace as the savior of Earth and the voice of truth that consumers should support with their donations. But why support the production of misleading, useless, and misguided information? What else is Greenpeace doing with those donations? 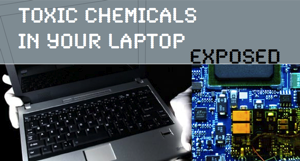 Greenpeace paid big bucks to buy a selection of laptops, disassemble them in a high tech lab, and then run expensive tests to determine the "Toxic Chemicals in Your Laptop (exposed)." That is also the title of the report Greenpeace is set to unveil this week. I received an advance copy, and ran it past an expert in tech industry procurement. It turns out the report is actually an apology for badmouthing Apple earlier this month! Here's what the report found. Each was tested for a range of chemicals restricted by the RoHS, as well substances that are not banned: PVC, a plastic commonly used to insulate wires, and TBBPA, a flame retardant. Interestingly, the lab tests provided results entirely opposite to the "Greener Guide" rankings which Greenpeace distributed earlier this month! For example, the notebook from highly rated HP was found to be non-compliant with the RoHS; however, despite ranking Apple "so low in the overall guide" that it necessitated special mention in the press release, Apple's MacBook Pro was found to be compliant, even though the unit was purchased in Europe in March 2006, three months ahead of the RoHS regulatory cut off date. The HP laptop was also the only test unit found to contain lead in the samples taken. Dell had the highest overall bromine concentration for circuit boards, fans and external plastic parts. Sony had they highest concentration of bromine in internal plastic connectors. Also interesting was what Greenpeace didn’t find. After nearly two hundred tests for chromium, they found none of the cancer causing hexavalent chromium in any of the laptops, which is great to hear. All in all, there was less chromium found in the tests than one would find in common silverware. However, given that we live in the era of Exploding Battery Panic, you still might not want to stick your laptop in your mouth. Greenpeace made a big deal about non-regulated flame retardants in their earlier report, and specifically dinged Apple for not having published information on their website about the use of chemicals that are not restricted in the RoHS or other government or industry regulations. However, despite all the stink, the lab tests only found 262 ppm of TBBPA (a non regulated flame retardant) in the internal fan assembly of the MacBook Pro. That's one quarter of the amount legally allowed of the restricted flame retardants. 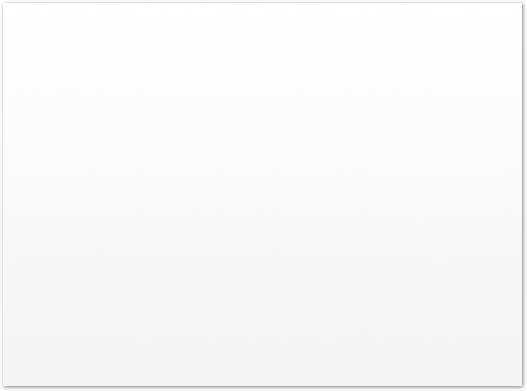 In other words, if Apple were using a regulated toxic chemical, they could get away with using four times as much and still meet the strict RoHS standard. While the lab reports exonerated Apple, they also point out that tough industry and government regulations do more to create change than sensationalist fear mongering. That was one of the points I made in the original article: the entire premise of the Greenpeace report card is really a weak fallacy. While there is some room for excelling or trailing in the industry, all companies are all working to make money, and they will all adopt the standards needed to continue to stay in business. The Greenpeace report spun a misleading tale about an alternate reality world where Apple is a bad company because it doesn't publish as much PR about its actions. In reality Apple leads in many areas, and other companies are in general not far behind in their efforts to adopt the same standards. Efforts to push the envelope in clean, sustainable manufacturing are being made by RoHS’ EU regulators and groups like the US Environmental Protection Agency, the Zero Waste Alliance, and the Green Electronics Council, who worked together to create a ranking and award system called EPEAT. •present criteria that is meaningful and achievable, and promote enhanced environmental performance. Of course, Apple leads rankings across the board in EPEAT scores for computers, laptops and displays. After publishing my second Greenpeace article, I received a letter from Tom Dowdall of Greenpeace International. I found it deliciously ironic that Greenpeace can’t spell organize or environmental, but I’ll refrain from putting in [sic] because that seems excessive and unnecessary, and I spell things wrong sometimes too. Despite your derogatory comments about Greenpeace and obvious bias against us ("What is Greenpeace smoking?" is a very cheap shot for someone who complaints about standards of web journalism?) and in favour of Apple I do appreciate your offer made in your comments section of publishing a Greenpeace factual rebutal. I assume you'll will publish this and link it from your original article? If so I'll organise a rebuttal from one of our campaigners and send it to you. It will focus on your comments about the subject of the report not the 11 or so paras of the original you dedicated to attempting to implying we are always wrong. Just out of interest (leaving aside your feelings on Greenpeace) would it not make you more proud as an apple user if Apple was clearly a greener company than all major competitors? The fact there is heated debate about Apple's environmnetal record shows it can improve. I'd be happy to print your comments. Just to fill in the gaps, I didn't know much about Greenpeace before writing the article, so I didn't have a bias against the report. I was originally commenting on groups that target Apple to inflame their news. After I started looking at the report however, it just seemed more and more inaccurate, and the comments made that were based in realities seemed to be impractical: who cares about public reporting of goals, when their competitors are already at the goal? Another idea that the report glosses over is the size and market differences of each of the 14 companies (selected at random?). Nokia isn't building the same products as computer makers; HP and Dell are much larger and quite obviously will have a harder time meeting new regulations than a smaller company like Apple; they also have more resources to work with, etc, but all these factors were simply ignored by the report. That's a major point I made in the article. How practical is this rating? What value is it to the consumer? It's hard to swallow that it was really intended as a guide consumers could use to understand the efforts and expense companies were making in order to provide cleaner, more environmentally responsible products. After a bit of examination, it seemed pretty clear that it was just fluff being used to pad a press release to generate donations. I actually do hope you could write up a factual rebuttal that proved my observations wrong, and that demonstrated a lot of real work went into the report, and that yes, there is a factual basis for the marks given, and yes, that is does reflect market realities and is useful and practical guide for consumers. I would happily retract my comments if they were in error. However, I'm pretty certain you are just going to attack my "credentials" and argue the same irrelevant points in the guide. Either way, I have no problem publishing your side. I'm trying to present accurate information. And yes, I would be happy and proud to see Apple, and all other companies, ranking highly in their concern for the environment. I am also interested in the connection between the Greenpeace Guide and the SVTC, specifically regarding Ms. Iza Kruszewska, who turns up linked to both. That generated a lot of questions from readers, wondering about the connection between the two. Who is this Dan anyway? For the record, Eran is my middle name. This secret is revealed by clicking on the Daniel Eran links (which appear on every page) and checking out the about me page. I’ll let this slide, because I’m not yet in the Wikipedia, but a half-assed Google would solve this problem too. More troublesome is that the actual Greenpeace rebuttal is low on substance and fails to address the critical problems I raised. Instead, it attacks strawman arguments. For example, it replies to Greenpeace does not have any expertise to produce the report, which I never said. I said Greenpeace is often sloppy with facts in its efforts to create media dazzle. I also never said the Greenpeace report only rates publicly available material so is "misleading." The report itself actually presented few facts; it was the spin and PR for the report and the analysis in the report that was misleading. Also, quoting an Apple FUD storm from the Guardian tabloid, along with the absurd announcement from HP that their PCs last for six years, is simply a great example of the kind of fact free sensationalism that I complained about originally. Bleah. Here is a response to the main points raised by Daniel Ertan of in his criticism of the Greenpeace Green Guide to Electronics. Main points made in the article or comments relevant to the report made on the site are listed 1-11 in italics with Greenpeace response below. The ranking is the outcome of dialogue and pressure on the companies to clean up their act along with considerable time spent on research, both online and offline. The reason much of the info is on company websites is due to our demand for transparency. Clearly, the next step is to hold the companies to these commitments and statements on their websites - to make sure they 'walk their talk'. Any company not meeting is public commitments in the future will be downgraded in the Greenpeace ranking. Making policies public is good public relations but also makes the company accountable to the public. Companies who don't make their policies public ensure there is no way they can be held accountable to their policy. This is why we want companies to report on the amount of WEEE (Waste Electrical and Electronic Equipment) recycled based on sales in year X (average age of WEEE when trashed) as a percentage so that we can compare like with like. We also expect companies to increase these percentages. 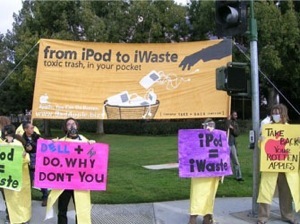 If Apple is so confident about its recycling policy why does it not publish amounts recycled compared to amounts sold? Our ranking scores on what companies do/commit to beyond legal compliance. So, the demand for eliminating ALL BFRs and PVC, goes beyond the RoHS requirements. Our goal is to change the whole industry and hence create a new higher industry standard. 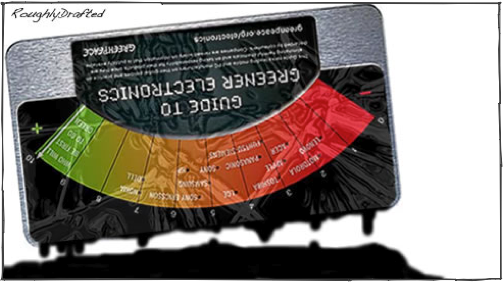 Greenpeace do not rank companies on global RoHS compliance - because we expect global RoHS compliance. It would be perverse to reward companies for not operating double standards! The current standard of reporting in lbs or units is unclear because of different market shares and product portfolios. By reporting on volumes recycled based on sales allows comparison of recycling efforts across companies. If Apple published a similar metric to HP it would allow an accurate comparison. Greenpeace has been working on toxics and waste issues since its inception. We have at least 2 decades of expertise working on these issues. 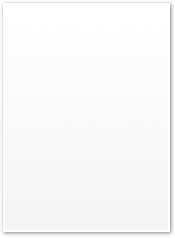 We first started communicating with leading consumer electronics companies in 2002. This is a Greenpeace ranking done independently of SVTC. Iza Kruszewska, the report author, has in the past worked as in an advisor capacity with SVTC and other environmental NGO's. Since early 2004 she has been a full time Greenpeace campaigner. Iza drafted the first Greenpeace briefing on the concept of extended producer responsibility, published in October 1995. 8 Other companies pay/ give incentives to Greenpeace to bad mouth Apple. Greenpeace does not take donations from companies or governments. Any large personal donation is thoroughly checked before being accepted or returned. If they do not meet these goals we will publicly criticise HP again. It is misleading to claim Greenpeace only singles out Apple. However, as a design leader, we expect Apple to lead the pack - not only on technological innovation but also environmental policies. Greenpeace wants companies to voluntarily takeback from individual consumers their WEEE (Waste Electrical and Electronic Equipment) wherever they have sales, because this is the bigger challenge. Many companies have been taking back used IT from corporate customers for years to build brand loyalty and in the knowledge that they can sell on the used equipment. The challenge for companies is to take back WEEE from individual customers. Lenovo does sell to corporate customers but since buying the ThinkPad brand from IBM, they also sell to individual consumers. On lifespan of products, Greenpeace would definitely like to rank companies on lifespan of products, but there is no credible information on the average lifespan of different brand products. Most information is anecdotal and it is very difficult to gauge the average lifespan of specific electronic products, given reuse of electronics products. If anyone can suggest credible sources of information on lifespan of products, please point these out. Nokia has some minor applications where PVC still needs to be removed. Major uses of PVC have been eliminated. In contrast Apple has some very minor peripherals free of PVC but no products free of PVC. Therefore it is clear Nokia is well ahead of Apple on PVC phase out. Greenpeace continues to raise the use of PVC in minor Nokia components in meetings with Nokia. Substituting harmful substances is an ongoing process, as new scientific research reveals other chemicals to be increasing linked to harmful effects.